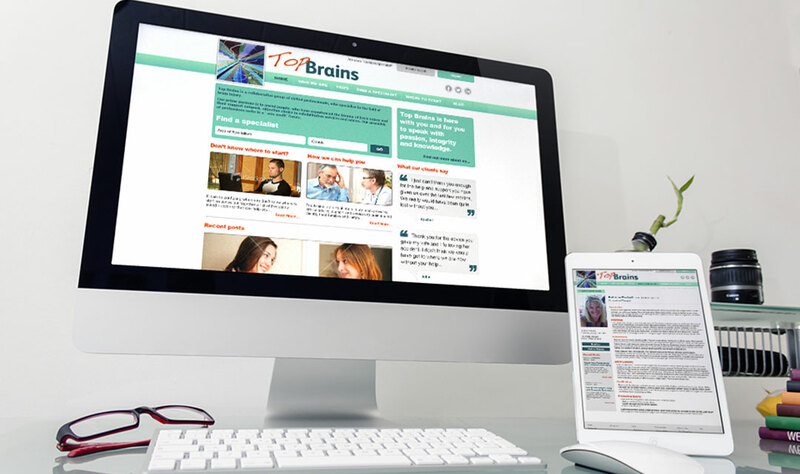 Fed up with ‘no win, no fee’ culture which fails to get the best long term deal for clients, Top Brains is an organisation of professionals, including Lawyers, Occupational Therapists and Support Specialists who are experienced in the field of acquired brain injury. 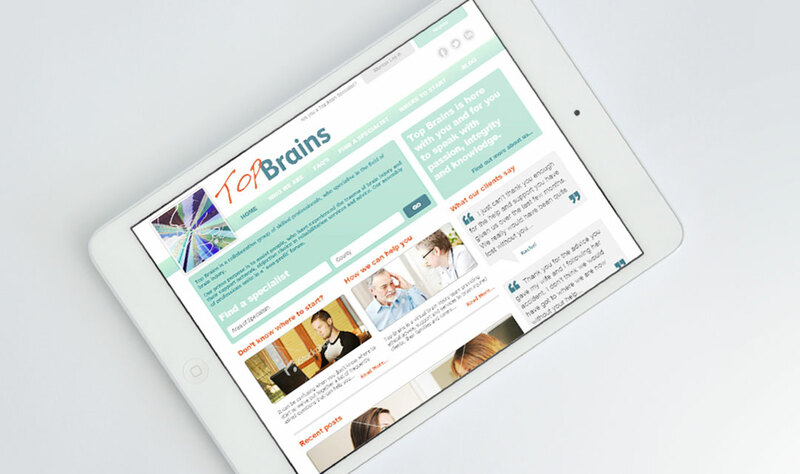 They approached us to create a web solution that would enable users to find the specialists they need quickly and easily. 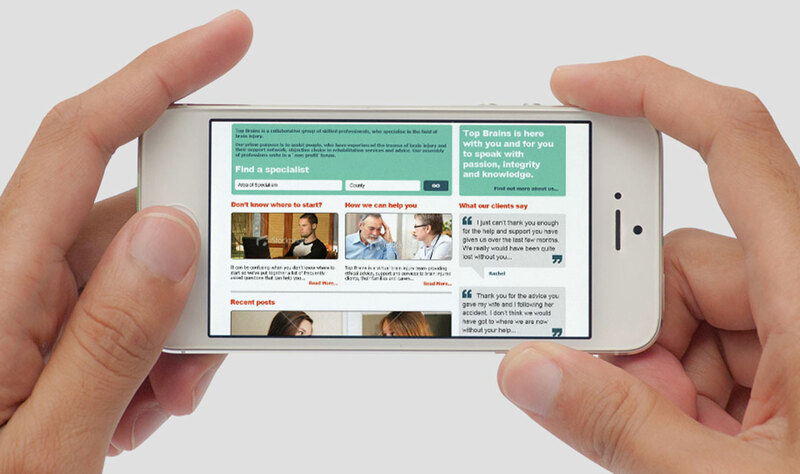 We worked with the management team to develop a database driven site with a powerful search function that enables users to find a consultant by specialism and geographic area. The design and layout has ease of use, for both the consultant and their potential client, at its heart. The specialist can update their own contact and profile information themselves and the client can email them directly from the site making the whole operation easy and trouble free.